Nothing says Florida like going out on a deep-sea fishing trip or enjoying an event out on a yacht out at sea. In every major city in South Florida (and even the small ones) you can find marinas full of every size boat you can think of. Expensive yachts. Deep sea fishing charters. Single person crafts. You name it. This means there is an equally large number of different marine engines powering these boats. And when it comes time for a maintenance or repair service, it’s time to find the right marine engine parts for the job. For residents throughout South Florida, marine engine parts, maintenance, repairs, and other diesel services are what we do. 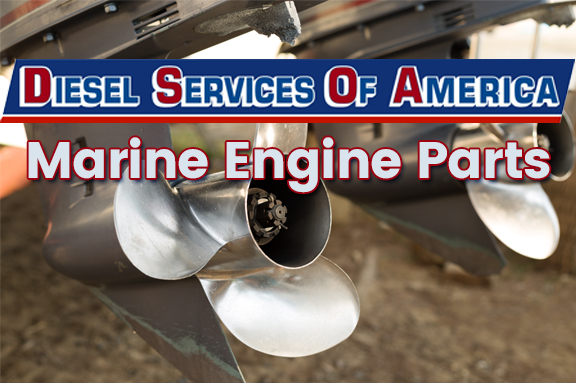 Diesel Services of America addresses every aspect of the marine engine industry. We are factory authorized by all of the major well-known manufacturers of the engines that allow trips on the water possible. And we have developed a fine reputation throughout our local communities for being the best supplier of high-quality new, old, rare, and hard to find marine engine parts around. Click here to view all our MAN Marine Diesel parts. Click here to view all of our Volvo Penta parts. Click here to view all of our John Deere Marine parts. Click here to view all of our Cummins Onan parts. For more information about Diesel Services of America, visit our website. If you wish to purchase one of the parts listed, are looking for a specific marine engine part that is hard to find, or wish to set up an onsite marine engine maintenance or repair service, call 954-781-1464. Or Contact Diesel Services of America via email if you have any additional questions.